I’ve had an interesting week. This Wednesday I ended up at the doctor’s office because I was having difficulty swallowing. Well a cotton swab latter and a “stick out your tongue” comment and the test is completed. Results come back –negative for strep. Yes! Nevertheless, I come home with a pack of antibiotics. Thursday morning I’m feeling better. No trouble swallowing. But what has grabbed my attention is a small white dot on my gum. Well, what could it be? Friday morning the white dot is present along with other irritation on my gum. I’ve been battling with a tooth that perhaps should have been gone two years ago! One phone call later and I’m headed to the dentist. I’ve been going to the same dentist for over 28 years. My doctor is out on vacation and Dr. Lewis his partner takes me in. This is an emergency visit! Liz, the hygienist takes an x-ray. Yep, there is an underlying infection, hence the “white dot”. Dr. Lewis enters the room examines the tooth, which by the way looks like the “Tower of Pisa”. I believe all the trouble I was having during the week stemmed from this tooth. A brewing infection had caused a lot of trouble. We must deal with disease! 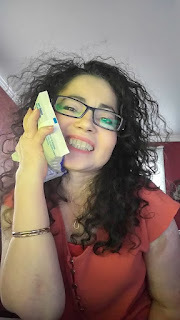 Why am I writing about my tooth experience? When I arrived at the dentist office, Liz the hygienist examined me. Lisa my regular hygienist came to talk with me and keep me at ease. Eileen the assistant came and embraced and kissed me and assured me that all was going to be fine. When Dr. Lewis arrived in the room it was like a party! We were celebrating the extraction of the soon to be GONE “Tower of Pisa”! I want to thank Dr. Taub for all these years of service. Your staff is AWESOME! Dr. Lewis I love your personality and humor. You had me at ease (even though I almost broke Eileen’s hand). The extraction was a well-executed experience and a much needed event that had to happen in this mouth! When an infection is in our body, we must be vigilant to get it out. Leaving this army of disease brings further destruction to all that is good. Sin, just like an infection must be eradicated from us. God hates sin! It's trouble begetting more trouble. The Ultimate Surgeon has come! He came to deal with sin. We who were made in his image have captured his heart! He is ready to deal with the sin. He is Good! My heart has been surrendered to the Great Surgeon and I feel well! Dr. Taub and this great team! I feel great and I’m healing well! I give thanks for today; for God’s wisdom that has been imparted to this great bunch of professionals! May the Good Lord bless them abundantly. What happens in the "WAIT"? We've cried out to the Lord and wonder if he has heard us. While it seems that nothing is happening, indeed I have become more dependent on the Lord. My heart longs to speak with him because at times I feel alone maybe even depressed and isolated. Does anyone understand? My prayer may have become about timing nevertheless I am at his feet. How long Lord? He reminds me that, "He was despised and rejected by mankind, a man of suffering, and familiar with pain." (Isaiah 53:3) He does know what is going on with me. 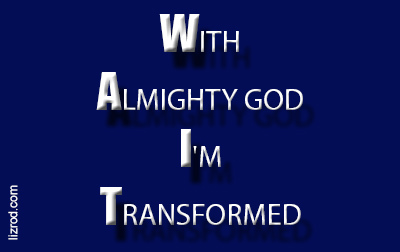 In this time of "WAIT" he is changing me. This process that I could not do on my own, he is accomplishing! He is taking this clay and shaping it. Sometimes he has to break me and start all over again. In the process I wonder, did I sin against you Lord; did I entertain evil and somehow became entangled. I search and find no relief, yet you have never left me. You are near even if I don't recognize it. Perhaps my experience is like Jonah and I am running from you Lord. I could be like Job and you have allowed the enemy to prove that I am loyal to you Lord. David sinned against you and in his repentance you restored him. Perhaps Joseph is a better resemblance of my affliction, I have been sold and in the near future I will say like he did, "what was meant for evil has turned out to accomplish good". Everyone has to "WAIT" sometime. Like a pregnant women waiting through the pain, life emerges and we soon forget the agony. No matter where we are on this journey, we must remember that God is looking for a people that reflect him. The process is painful but the results are fruitful. If you can remember 1977, perhaps the old Heinz Ketchup commercial can make sense. "Anticipation its making me wait", The taste that's worth the wait. When we understand that the Lord is working out all things for our good to those who love him and are called according to his purpose than the final product is worth the wait! Living in the New York has its variations of climate. Yesterday is snowed. It was not a lot but enough to cause trouble. The snow lingered after I got home. I watched it safely from my warm living room. This morning when I got up I noticed that the sidewalk outside my home was nice and clear. The path did not finish there, it lead right to the door of my dirty salt-covered vehicle. My husband is so good to me. He knows that the slightest slip could cause me to fall and get injured. My body has been ravished with Rheumatoid Arthritis and its a dainty walk for me in inclement weather. Well, praise God I arrived to the door of my vehicle safely. clear ground paved for me. As always my mind raced to the Scriptures I have buried in my heart. Yes, God has ordered my path. Just like the snow that was shoveled away, the path that the Lord has for me is clearly marked; undoubtedly noted; Light leading the way. The Lord makes a way, opens doors and commands me to walk on the straight and narrow. With all that preparation, I'm embarrassed to say that sometimes I still miss Him. Thank you Lord that you are not finished with me. You continue to instruct my heart and sharpen my hearing. Holy Spirit I am your student; continue to train me. I belong to you. As I arrived to my car I also noticed that with much ease I could open the driver's door. This good man that the Lord has allowed me to share this life with not only cleared the way for me but he made sure that my door was not frozen shut. With his strong arms he opened the door and secured it for me to open with effortlessness as I began my morning commute. Thank you Lord. My husband looks more and more like you every day. I too will reflect your image. Shine your presence over me until I reflect only you.